The Loudoun School for the Gifted is expanding its campus to better meet the needs of their students. 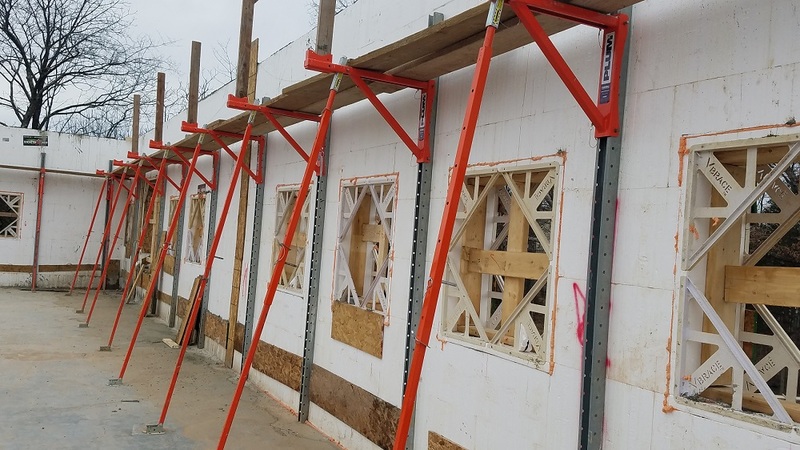 The school – which serves the needs of 60 middle and high school students in Ashburn, VA – is approaching capacity at their current location and have taken the steps to add to their campus. One of their goals in addition to doubling their student capacity to 120 students is to build an environmentally responsible, healthy and innovative space. 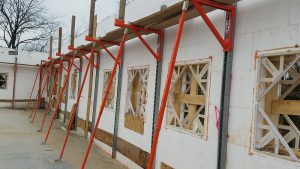 To achieve that goal, the new facility is being built with insulated concrete forms (ICFs). The new 3-story, 18,000 square foot facility is currently under construction. The concrete foundation and the first floor ICF walls are complete, featuring concrete supplied by VRMCA-member Vulcan Materials Company. Construction continues with the second floor ICF walls nearly complete. In total, the ICF walls will feature 175 cubic yards of 4000 psi AE mix concrete with high range water reducer and a #8 stone, 3/8″ maximum. The school broke ground on their new facility in late 2016 on the state-of-the-art building, which they plan to use for lab sciences, a maker space and outdoor garden.